Here are 5 ways technology companies can implement Agile Marketing campaign to generate B2B leads, increase market share drive real, actionable results. Working with technology businesses has taught us that speed is essential. The problem is that while tech companies move fast, their marketing messages can’t always keep up. Here’s the disconnect: Traditional marketing campaigns take weeks – often months – to plan and develop. The roll-out or execution is slow, and the focus is on ‘going big’. Then it takes another few months to evaluate the campaign, determining what worked or didn’t work. We’ve found that too many companies don’t take the time to step back and really determine the objectives of a marketing campaign. Vanity wants big billboards and to see your branding everywhere. But at the end of the day, if you aren’t generating hot leads, what is the value of a campaign? How can tech companies that are focused on generating leads and increasing their market share cut through the clutter and drive real, actionable results? At Digital Kungfu, we’ve found the answer lies in looking to the tech world, and not traditional marketing, for a new solution. The idea to develop an Agile Marketing methodology for our clients started to take shape while we were in New York, working with one of our international clients, a financial artificial intelligence (AI) firm, ForwardLane. We were shooting a Netflix-style series as part of their marketing campaign, and we quickly realized just how important speed-to-market is for technology-driven businesses with innovative products – not just in terms of their products, but their messaging as well. The challenge is that while tech companies operate according to Agile processes, their marketing suppliers often do not. What happens when you’re working according to quick, agile timelines, but your key partners aren’t? More importantly, from a marketing perspective, what happens if your product is in the market, but your marketing message isn’t because it can’t keep pace with the rest of the business? We realized that as an agile business ourselves, this was a problem we could solve. We just needed to figure out how to apply everything we knew about the Agile Methodology to marketing. Agile software development values rapid iterations over following a big, unchangeable plan. Its core ideals are testing and data over opinions and conventions. When applied to marketing, this approach enables us to test specific narratives and messaging themes in market to understand what works best in terms of specific products, services and messaging, in very specific customer verticals and communication channels. Once we see what’s working, we amplify the story through branded content and maximise ROI and performance for our clients. The key is that you have to be committed to speed, agility, and running with what is proven to work rather than holding onto messaging because you’re in love with it. So, how do you get started with your own Agile marketing process? Develop your message. There’s a reason Agile software development is divided into sprints. The best approach we have found is to identify three sets of messaging and get it into market as quickly as possible so that you can start receiving market feedback and customer responses. How do your customers win if they use your solutions and why are you different? That should be the core of your messaging. Now make the customer the hero of the story that you’re telling and you’re ready to go. Test it in the market. Now that we have three sets of messages in market, you need to test and evaluate each messaging set it terms of performance i.e. their ability to drive traffic to your conversion page and how many leads are being generated for each message set. The goal is to see what resonates with customers, you don’t need to get everything 100% perfect. You’ll iterate as you’re in the market according to the performance data you’re measuring. Match content to platforms. Test your messaging against the platforms that your customers are engaging with. Is it LinkedIn, Facebook, Twitter or even industry-specific forums or media owner channels? You may find you need different strategies for different customer segment groups. Create content specifically for each of these platforms. Create a strong call to action. This one may seem obvious, but we often see campaigns with no clear call-to-action (CTA). Make sure you have a strong call to action to encourage customers to take some form of action – this is essential. You need data, and that will only be achieved if customers are required to engage or respond to your messaging in some way. Be agile and iterative. As the data comes in, start honing your messaging, and focusing on what achieves better results. Try different mediums and messaging combinations until you see performance improvement. Remember, the key is to be agile and iterative. Small, consistent changes are necessary until you understand exactly what your audience is responding to because it resonates with their needs and challenges. Matt Brown is the Chief Excitement Officer of Digital Kungfu, a storytelling production company that helps technology businesses generate leads, market their software products/service and build their brands. He is also the founder of The Matt Brown Show, South Africa’s favourite podcast for entrepreneurs. Digital Kungfu is a storytelling production company that helps technology businesses to generate leads, market their software products/services and build their brands. 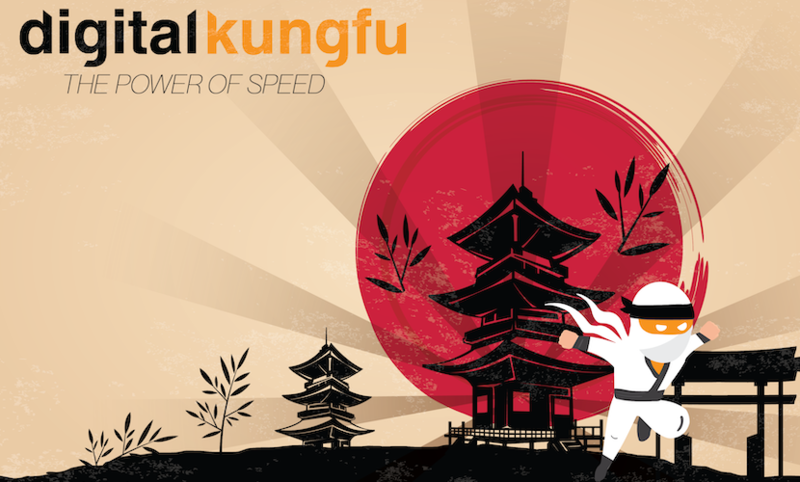 To address the pace of the technology sector, Digital Kungfu combines storytelling, branded content and agile marketing to take new or existing products and services to market quickly and in the process generate leads and maximise market share.